Joshlyn Weaver has always lived with a big secret. Ordinary kids spend their free time going to the movies, hanging out with friends, and searching on the internet. But for her, an evening at home usually means entering people's dreams. For many generations, her family has been part of a very powerful and very secretive society of dream walkers. Tasked with the responsibility of lowering the world's general anxiety — which only leads to war and strife in the waking world — their job has always been to stop nightmares before they go too far. By stopping nightmares while sleeping, they help to stop nightmares in real life. But when an ancient feud within the dream walker society resurfaces right when a seemingly unconnected series of very strange and very scary events start occurring during her dream walks, Josh finds herself in a race against time. The one true dream walker has never been known. Could she be the one? I haven't heard of this one before, but it sounds interesting. I hope you enjoy reading it. I haven't heard of this one, but it sure does sound pretty interesting! I should check this one out! Wow--I'm definitely adding this to my TBR. 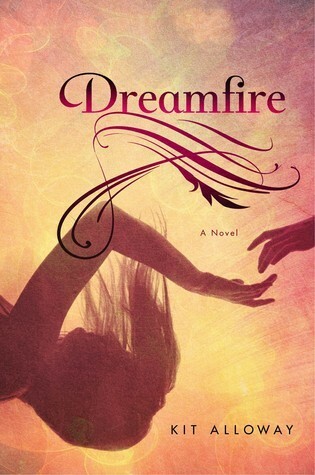 I'm really into dreams and books about dreams are some of my favorite! I have a few YA books with plots centered around dreams, but either started them and didn't finish them or didn't get to them yet. This one sounds intriguing. I've never heard of this book! I absolutely love the title and cover 😀 I hope you enjoy this book when you read it! I LOVE dream books too! And this cover is so pretty! Clicked to add it to goodreads and saw that I had already added it! Thanks for stopping by! This "dream walker" concept is really intriguing. I'll have to check it out. Oh I haven't heard of this one but it sounds really good. Great pick! I haven't heard of this one before, but it sounds interesting. I hope you enjoy reading it. Thanks for stopping by My WoW.